As one of Calgary’s top rated plumbing companies, A Better Way has a proven record of delivering exemplary service. A Better Way Plumbing & Heating Calgary was founded by master plumber Jason Tomchishin in 2005. Over the last decade we’ve earned over 100 near perfect reviews on Homestars and have been rated as one of the top 3 plumbing companies in Calgary. Plumbing can be a crappy job, we know, but your plumbing and heating are also critical to your quality of life. That is precisely why we care so much about every client and every job we do. 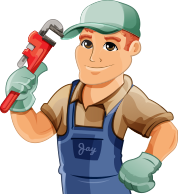 We have created our HOME MAINTENANCE ACTION PROGRAM for your “Peace of Mind” where we INSPECT and CLEAN YOUR DRAINS AS PART OF AN 18-POINT INSPECTION CHECKLIST! You won’t have any surprise bills. We’ll tell you exactly how much the work will cost and will consult you about your options to make sure you get exactly what you want and need. We enjoy our work and it shows in how we deal with you… our customers. We’re serious about getting the job done right, on-time and on-budget, but we also work hard to ensure you get top quality service and great advice! There are ways to save costs by installing inferior products or cutting corners on installation. That might put a little more money in the pockets of some plumbing companies, but it’s no way to build a trusting relationship with clients. All of our work is built to last the test of time We only use the best products and we go the extra mile to install it right the first time. If there are ever any problems with our work, give us a call. We’ll be happy to fix it.